Blair will campaign to give the British people a chance to change their minds. FORMER BRITISH PRIME minister Tony Blair announced a return to domestic politics to fight Brexit today, while acknowledging he remains a divisive figure whose contribution may not be welcomed. The former Labour leader will not be standing in the 8 June general election, but said he wanted to get his “hands dirty” and help shape the debate as Britain prepares to enter negotiations on leaving the EU. Blair won a record three elections as Labour prime minister and spent 10 years in Downing Street from 2 May, 1997 to 2007. But his final years in office were marred by his decision to join the 2003 US-led invasion of Iraq – a legacy he cannot shake off. “I know the moment I stick my head out the door I’ll get a bucket of wotsit poured all over me, but I really do feel passionate about this,” Blair told the Daily Mirror tabloid. He said his goal was not to defy last year’s referendum vote in favour of Brexit, but that voters should be given a chance to change their mind once the final EU exit deal becomes clear. Leaving the European single market and seeking a free trade agreement, as Conservative Prime Minister Theresa May intends, would be “relegating ourselves” from the top in the international order. “This Brexit thing has given me a direct motivation to get more involved in the politics,” the 63-year-old said. You need to get your hands dirty and I will. It remains unclear exactly what Blair intends to do, or how helpful his intervention would be. 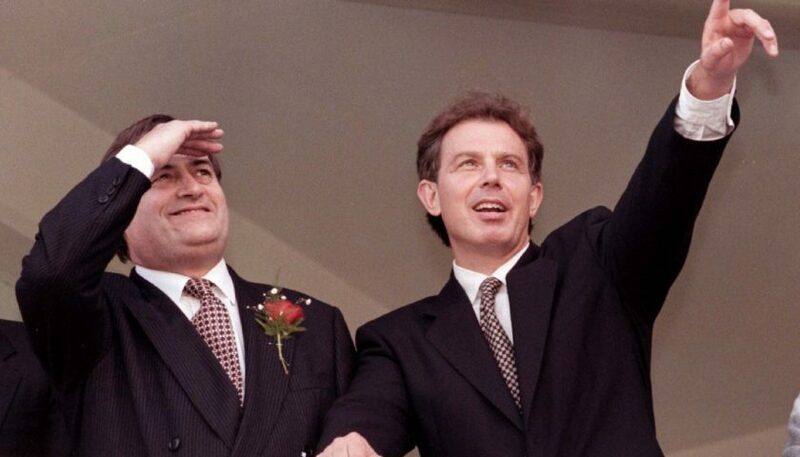 In the Labour party, now led by leftist Jeremy Corbyn, the term “Blairite” – to describe Blair’s centrist, business-friendly policies – is widely used as an insult. Among the public, 74% of people have an unfavourable view of Blair, according to a YouGov survey published in November. “Even some of his supporters think the more he keeps quiet the better it is,” said Steven Fielding, a professor of politics at the University of Nottingham. Blair spent several years after leaving office working in the Middle East and on African issues, but has become increasingly outspoken on domestic issues in recent months. He has set up a not-for-profit Institute for Global Change to campaign, among other things, to “revitalise the centre ground” and tackle the “destructive approach of populism”. Last week, Blair conceded the Conservatives looked set to win the election, as opinion polls put them more than 20 points ahead. In an interview with Sky News, he said the “real issue” was by how much they won, warning against giving May a “blank cheque”. Many commentators suggested such comments will do little to help Labour’s campaign. He has also been accused of encouraging tactical voting, if necessary for another party, to elect anti-Brexit candidates next month — something he denies, vowing his loyalty to Labour. “Tony Blair is a voice that gets attention and he’s using it for his own purposes, to rally the troops in the bigger cross-party battle which is all about Brexit,” Fielding told AFP.